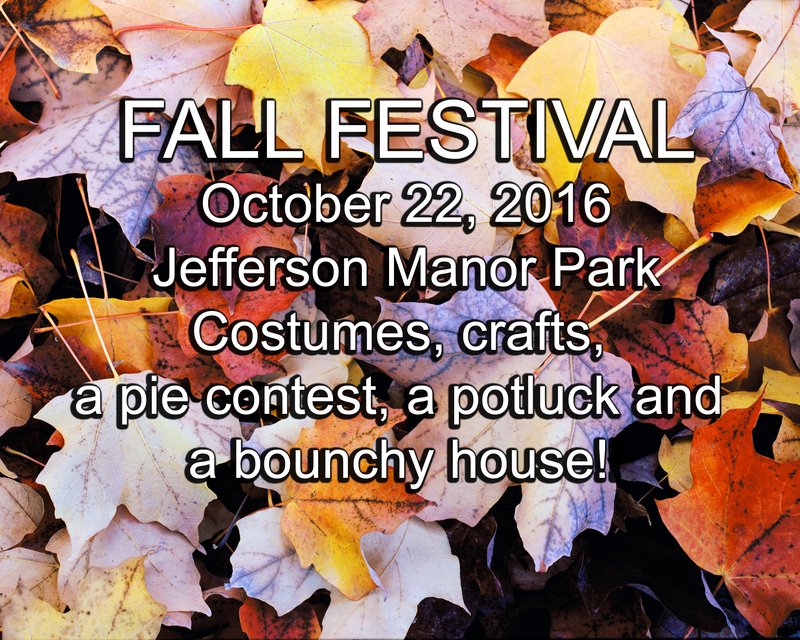 Fall Festival – Welcome to Jefferson Manor! 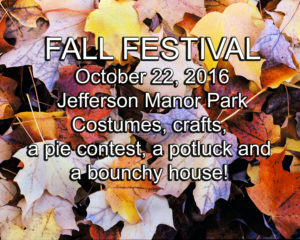 Join your neighbors for Jefferson Manor’s Annual Fall Festival. We’ll meet at Jefferson Manor Park from Noon to 3pm. Join us for games & crafts, a pie contest, a potluck, and a bouncy house! Don’t forget to wear your costume!